Giro Revolver Helmet 2012: The Giro Revolver Helmet is an out of this world durable hard shell helmet with just the right amount of brim and style. Features like the interior subliner, Giro s Interior Goggle Channel and fog free Stack Vent™ tech make the Revolver Helmet the perfect setup for all your riding needs. Stack Vent™ developed based on research showing the majority of the warm air can cause fogging exhausts from the center top vent of the goggle. Aligning the Stack Vent™ in the helmet with the center vent of your goggles helps to keep them clear and fog free while maintaining total helmet and goggle integration. Interior goggle channel is a removable pad at the base of the helmet that conceals a deep channel that allows more room for your goggle strap if you want to run it inside your helmet. 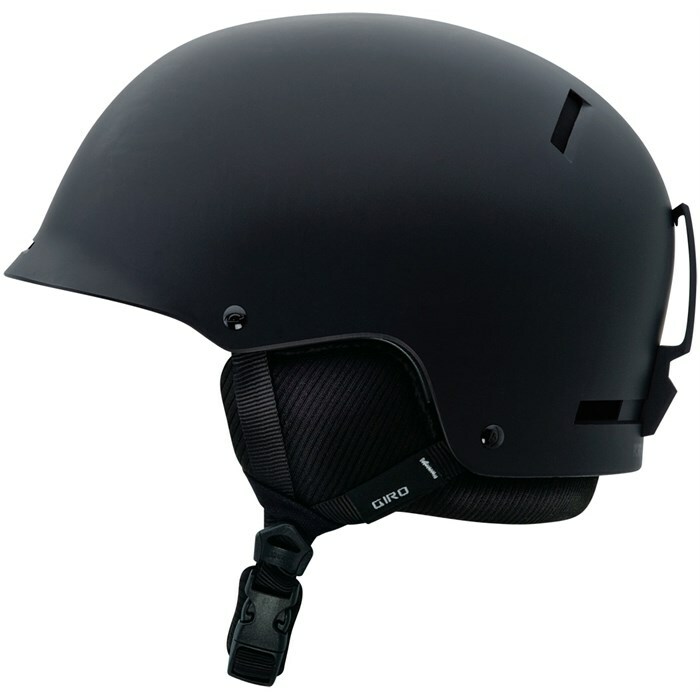 Hard shell construction produces great helmets at a great price. A durable outer shell is molded and then attached to the EPS foam liner.